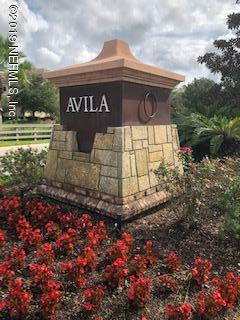 The Avila Condominiums is in a great location and within walking distance to Publix, Retail stores, Star Bucks and Palencia Elementary. The condo is move in ready, has a preserve view and located conveniently near the doggie park. 2 Bedrooms and 2 baths over 1200 sq. ft are spacious and roomy. Covered assigned parking. All appliances including washer/dryer stay. The HOA includes: Security gate into Avila, community pool, hot tub, landscaping, pest control, water, trash, and sewer. The CDD fees provide maintenance of the roads, trees, grass, flowers, signage, all access to Palencia amenities such as state of the art fitness center, 3 additional pools, 10 hard-tru tennis courts, and property management. For investors, it is a six-month minimum rental and the unit has a good rental history.